Draft: 2009, Milwaukee Brewers, 22nd rd. Michael Bruce Fiers…attended Nova Southeastern University, where he led the nation with 145 strikeouts in 108.2 innings as a senior in 2009 and was named a Third Team All-American by the National Collegiate Baseball Writers Association and the American Baseball Coaches Association/Rawlings…was inducted into the Nova Southeastern University Athletics Hall of Fame in November, 2017. Was acquired by the A's from Detroit Aug. 6 and went 5-2 with a 3.74 ERA in 10 games, including nine starts, with Oakland…was 7-6 with a 3.48 ERA in 21 starts with the Tigers and combined for a 12-8 record and a 3.56 ERA in 31 games, 30 starts…the A's went 8-1 (.889) in his starting assignments and his teams were 21-9 (.700)…had career highs in wins and winning percentage (.600) and matched his highs in games, games started and home runs allowed (32)…his ERA was his lowest in a season of 75 or more innings pitched as was his .296 opponents on-base percentage… walked just 37 batters in 172.0 innings for a career-low average of 1.94 walks per nine innings… had more home runs (12) than walks (11) with the A's…ranked fifth in the American League in fewest walks per nine innings and 10th in ERA…had a .172 opponents batting average with runners in scoring position, which was second lowest in the AL among qualifiers for the ERA title (Snell, TB .088)…tied for third in most home runs and tied for ninth in most extra base hits (67)… his .450 opponents slugging percentage was third highest among the 27 AL qualifiers…was 4-3 with a 4.78 ERA and .279 opponents batting average over his first nine starts through May 25… then went 8-5 with a 3.07 ERA and .237 opponents average over his final 22 games beginning May 30…his ERA from May 30 through the end of the season was third lowest in the AL…had a .249 opponents batting average, which broke down to .231 (78-for-338) against left-handed hitters compared to .268 (88-for-328) against right-handers…issued 26 of his 37 walks to left-handers…opponents hit .270 with 21 of his 32 home runs with the bases empty, .212 with runners on base…allowed a .216 batting average with two outs, including .153 with RISP and two outs… opponents were 0-for-7 with one RBI with the bases loaded…walked just five batters to lead off an inning but had a .269 opponents batting average in that situation…held the opponents number three hitter to a .184 batting average, which was fourth lowest in the AL…went 5-2 with a 2.77 ERA in 12 starts at Comerica Park and 3-0 with a 2.91 ERA in six starts in the Coliseum… combined for an 8-2 record and a 2.81 ERA in 18 starts in his home ballparks compared to 4-6 with a 4.65 ERA in 13 games on the road…ranked fifth in the AL in home ERA and tied for 10th in wins…was 6-6 with a 3.70 ERA in 18 starts before the All-Star Break, 6-2 with a 3.34 ERA in 13 games after the break…tied for seventh in the AL in post-break wins and ranked ninth in ERA… was 3-1 with a 2.76 ERA in eight starts during the day, 9-7 with a 3.82 ERA in 23 games at night …had no decisions and a 1.23 ERA in two interleague starts and is now 5-5 with a 3.10 ERA (36 er in 104.2 ip) in 20 career interleague appearances, including 18 starts…went 4-1 with a 3.63 ERA in 11 starts against AL Central teams…is now 14-6 with a 3.16 ERA (73 er in 208.0 ip) in 37 games against the Central in his career compared to 40-49 with a 4.30 ERA (330 er in 690.0 ip) in 135 games against all other teams…went 3-0 with a 1.47 ERA in three starts against Texas…averaged 86.5 pitches per game, which was second fewest in the AL (LeBlanc, SEA 76.5)…his 15.6 pitches per inning were eighth fewest…opponents swung and missed at 19.9% of his pitches, which was the third lowest mark in the AL…had the fourth highest percentage of first pitch strikes (66.4%)… did not commit an error in 31 games and 26 total chances…tied for seventh among AL pitchers in putouts (14)…has 43 putouts over the last three years, which ranks third among AL pitchers… walked one batter or fewer in 22 of his 30 starts and allowed one run or fewer in 14 of his starts… surrendered at least one home run 21 times. DETROIT: Began the season on the 10-day disabled list with a right lumbar strain…was reinstated April 8 and made his Tigers debut that day at Chicago (AL)…combined with four relievers on a three-hit shutout in the Detroit's 1-0 win…tossed 6.0 innings and allowed all three of the hits… also struck out six to become the fourth Tigers pitcher since at least 1908 to throw six or more innings, allow no runs and strike out six or more in his Tigers debut, joining Sailor Stroud (1910), Alex Main (1914) and Joe Niekro (1970)…then allowed a season-high six runs in an 8-6 loss to New York (AL) on April 13 for his first loss…yielded a career-high tying 10 hits in 5.1 innings April 21 against Kansas City but picked up the win in a 12-4 Tigers victory…was 2-2 with a 5.00 ERA over his first five starts through May 3…then put together consecutive wins for the only time as a Tiger on May 8 at Texas and May 14 against Cleveland…took the loss in back-to-back starts on June 22 at Cleveland and June 27 vs. Oakland for his only losing streak with Detroit…allowed one run in three consecutive starts on June 27 against Oakland (7.0 ip), July 2 at Toronto (8.0 ip) and July 7 against Texas (6.0 ip)…had a loss, a no decision and a win respectively in those three starts…tossed a season-high 109 pitches against the A's and the 8.0 innings against the Blue Jays were also a season-high…went 5-2 with a 1.79 ERA and .214 opponents batting average over an 11-start stretch from June 27 to Aug. 25…was named Detroit's Pitcher of the Month for June after posting a 1-2 record, a 3.30 ERA and .239 opponents batting average in five starts… combined with Wilson and Greene on an eight-hit shutout in a 5-0 win over Boston on July 21 for his final win as a Tiger…tossed 6.1 innings and allowed seven of the hits…that began a careerhigh six-game winning streak that spanned 10 starts from July 21 to Sept. 11…compiled a 2.50 ERA and .220 opponents batting average during the winning streak…went 2-1 with a 2.23 ERA in five starts in July…the ERA was the seventh lowest in the AL in the month and his .232 opponents batting average was 10th best…then tossed 2.0 scoreless innings in his final start as a Tiger on Aug. 1 against Cincinnati. OAKLAND: Was traded to Oakland Aug. 6 for two players to be named later (minor league pitcher Nolan Blackwood on Aug. 18 and minor league pitcher Logan Shore on Sept. 19)…went 5-0 with a 2.72 ERA and .208 opponents batting average over his first seven starts, matching Omar Olivares (1999) for the longest winning streak to start an Oakland career by an in-season acquisition… then went 0-2 with a 6.75 ERA and .283 opponents average over his final three games, including two starts…had a no decision in his first start on Aug. 8 against Los Angeles (NL)…struck out a season-high tying eight batters in 5.1 innings, his second of three eight-strikeout games (June 9 vs. Cleveland, Aug. 20 vs. Texas)…left with a 2-1 lead but the bullpen blew the save…it was one of four times the bullpen blew a save in one of his starts (June 9 vs. Cleveland, July 2 at Toronto and Sept. 22 vs. Minnesota)…picked up his first win as an Athletic in the A's 3-2 win over Seattle on Aug. 14 in Oakland, allowing two runs on six hits in 6.0 innings…combined with Buchter and Kelley on a three-hit shutout in the A's 9-0 win over Texas on Aug. 20 in Oakland…tossed seven of the innings and allowed one of the hits…it was his longest scoreless outing since his Aug. 21, 2015 no-hitter against the Dodgers…went 3-0 with a 2.73 ERA and .227 opponents batting average in six starts in the month of August…tied for sixth in the AL in wins…was charged with his first loss as an Athletic Sept. 16 at Tampa Bay when he allowed three runs on four hits and a season-high tying three walks in the A's 5-4 loss…his only relief appearance came in his final game of the season on Sept. 28 at Los Angeles (AL), a game started by an "opener" (Trivino)… entered the game to start the second inning and allowed a season-high tying six runs on seven hits in 3.1 innings for the loss. Appeared in 29 games, including 28 as a starter, in 2017 for the Houston Astros... Finished the season with 153.1 innings pitched, marking the third consecutive season he has thrown 150.0-or-more innings...Walked four batters on May 7 at Los Angeles (AL), snapping his streak of not walking more than three batters in 39 consecutive starts...the streak was tied for the 12th-longest streak in club history and the longest since Brett Oberholtzer had 39 straight starts from 2013-15...Made five starts during the month of June, posting a 3-1 record with a 2.32 ERA (31.0IP/8ER) and 28 strikeouts...ranked fourth in the American League with a .189 (21x111) opponents batting average during the month, while he was sixth with a 2.32 ERA and 0.97 WHIP...Struck out a season-high 11 batters on July 16 vs. Minnesota, marking his first double-digit strikeout performance since May 2, 2015 vs. Chicago (NL)...In 10 starts from May 30-July 21, went 6-2 with a 2.36 ERA (61.0IP/16ER) and 69 strikeouts... among AL pitchers during that span, ranked second with a 2.36 ERA and .195 (43x221) opponents batting average, tied for second with six wins and seventh with 61.0 innings pitched...Ranked fifth among AL pitchers in July with 12.86 strikeouts per nine innings, eighth with 40 strikeouts and ninth with a .212 (22x104) opponents batting average...On the suspended list from September 14-20. Set a career high in wins in what was his first full season with Houston...was one of three Astros pitchers with double-digit victories, joining Collin McHugh (13) and Doug Fister (12)...marked the first time since 2005 that the Astros had three pitchers with double-digit wins: Roy Oswalt (20), Andy Pettitte (17), Roger Clemens (13), Bandon Backe (10), Wandy Rodriguez (10)...made 30 starts, tying his career high set in 2015 with Milwaukee (21) and Houston (9)...posted the lowest single-season walks per 9.0 innings ratio of his career (2.24)...walked 42 batters in 168.2 innings...ranked 10th in the AL in walks per 9.0 innings...went the entire year without walking more than three batters in a game...allowed three walks in three games (June 25 at KC; July 18 at OAK; Sept. 22 vs. LAA)...his 30-start streak of allowing no more than three walks was the longest single-season streak by an Astros pitcher since RHP Roy Oswalt had a 32-game streak in 2006...was third-longest streak by a MLB pitcher in 2016, behind 33-game streaks from Hisashi Iwakuma and Rick Porcello...ranked fifth in the AL in run support average (6.08)...spent virtually the entire season in the starting rotation, making one relief appearance on May 15 at BOS (2ER/4IP)...began the season by allowing two walks or less in each of his first 13 starts...tied the club record to start a season with Collin McHugh (2015) and Shane Reynolds (2001)...had a streak of 17.2 consecutive scoreless innings at home from June 1-July 6...spanned four starts: June 1 vs. ARI (1R/6IP), June 19 vs. CIN (0R/5.2IP), July 1 vs. CWS (0R/6IP), July 6 vs. SEA (4R/3.1IP)...while his overall strikeouts per 9.0 innings ratio on the season (7.15) was lower than his career average entering 2016 (9.09), fanned 63 batters over his final 12 starts and 65.0 innings (8.72 SO/9)...boost in strikeouts coincided with an increase in his curveball usage, as 24.2 percent of his pitches thrown over his final 12 starts were curveballs (15.4% over his first 19 games)...also showed an increase in first-pitch strike percentage (66.9% over final 12 games; 60.1% over first 19)...the Astros went 14-7 over his final 21 starts of the year. After being acquired via trade, was slotted into the Astros rotation on Aug. 9, and made nine starts for the club...on the season with Houston and Milwaukee, set career highs in starts (30), innings pitched (180.1), strikeouts (180), and posted his lowest ERA (3.69) in a season (min. 100 MLB IP)...had his season highlight on Aug. 21 vs. LAD, as he threw his ﬁrst no-hitter and complete game...named the AL Player ofthe Week for that week...in the outing, allowed just three walks on a career-high 134 pitches (previous high was 113, last accomplished on July 3 at CIN)...retired 21 straight batters following a third inning walk to Joc Pederson...struck out 10 batters...was his seventh career double-digit strikeout game...marked the 11th no-hitter in club history, 10th individual no-hitter, and ﬁrst no-hitter in Minute Maid Park history...made his ﬁrst start with the Astros on Aug. 9 at OAK (1ER/6.2IP), and from that date forward posted a 2.67 ERA (17ER/57.1IP), which ranked ﬁfth the American League and ranked 12th in the Majors in that span...posted a .184 opponent batting average in that span, which ranked second in the AL and ranks sixth in the Majors...his 8.98 (180SO, 180.1IP) strikeouts per 9.0 innings mark led all Astros starters (numbers combined from MIL and HOU)...as a Brewer, made 21 starts and went 10-11 in his starts...as an Astros starter, went 2-1 with a 2.67 ERA (17ER/57.1IP), 53 strikeouts and a .184 opponent batting average in nine starts...made his second Opening Day roster with the Brewers, and pitched out of their rotation for his ﬁrst 21 starts...was traded to Houston on July 30, where he remained through the end of the season....was his ﬁrst full season in the Majors, avoiding any minor league stints and trips to the Disabled List...made his only relief appearance this season, and Astros debut on Aug. 3 at TEX...pitched 5.0 innings in relief, which was the Astros' longest relief outing this season...from Aug. 9-29, allowed only one earned run or less in what were his ﬁrst four starts with the club...became one of ﬁve pitchers in club history to allow one earned run or less in each of his ﬁrst four starts with the club...gave up his ﬁrst earned runs at Minute Maid Park on Sept.18 vs. OAK...became the ﬁfth pitcher to start his Astros career by not allowing an earned run in each of his ﬁrst two starts at home...the last to do so was LHP Randy Johnson, who set a club record in 1998 by not allowing an earned run in each of his ﬁrst four home starts with Houston...pitched in Game 5 of the ALDS vs. KC, allowing one run in 1.0 inning of work, his only appearance of the postseason. Went 1-4 with a 7.25 ERA in 11 games (3 starts)...Went 0-3 with a 12.66 ERA in his 3 starts (10.2ip, 15er) and 1-1 with a 2.31 ERA in his 8 relief appearances (11.2ip, 3er)...Was named to his first career Opening Day roster...Was optioned to Triple-A Nashville on 4/18 after going 0-1 with an 8.59 ERA in 3 games (1 start)...His option was transferred on 5/7 to Class-A Brevard County (mother was ill in Florida)...Was recalled on 5/12 and went 1-3 with a 6.60 ERA in 8 games (2 starts)...Was optioned back to Nashville on 6/3...His season ended on 6/15 vs. New Orleans when he broke his right forearm after being hit by a Kevin Kouzmanoff line drive...Following the season pitched for Caracas in the Venezuelan Winter League. Began the season at Triple-A Nashville, where he went 1-3 with a 4.42 ERA in 10 starts. Recalled by Milwaukee on 5/29 and went 9-10 with a 3.74 ERA in 23 appearances (23 starts). Went 8-6 with a 2.88 ERA over his ﬁ rst 16 starts (100ip, 32er, 12qs) and 1-4 with a 7.09 ERA over his last 6 starts of the season (26.2ip, 21er, 0qs). Produced 12 quality starts ... the team went 10-12 in his starts. Struck out 135 batters in just 127.2 innings while recording only 36 walks. Averaged 9.5 strikeouts per 9 innings and only 2.5 walks. Ranked third among NL rookies in wins (9), ERA (3.74), innings (127.2) and strikeouts (135). Made his ﬁ rst Major League start on 5/29 at Los Angeles and earned his ﬁ rst big league win in the 2-1 victory (7ip, 5h, 1r, 1er, 0bb, 3k). Notched 9 consecutive quality starts from 6/16-8/7, going 5-2 with a 1.03 ERA (61ip, 7er). Had 21.1 consecutive scoreless innings from 6/16-7/5, the longest streak by a Brewer in 2012. Posted 10 strikeouts on 6/30 vs. Arizona (W), 8/24 at Pittsburgh (W) and 9/30 vs. Houston (L). Was named Brewers Pitcher of the Month for July (4gs, 1-2, 1.01era, 26.2ip, 26k). Was named Brewers Minor League Pitcher of the Year as he went 13-3 with a 1.86 ERA and 5 saves in 34 games (18 starts) between Double-A Huntsville and Triple-A Nashville. ... Led all Brewers minor leaguers in wins (13) and ERA (1.86) and was fourth in strikeouts (132). ... Held opponents to a .182 batting average with 132 strikeouts in just 126.0 innings. ... Was named Southern League Pitcher of the Week for 6/27-7/3. ... Was named Pacific Coast League Pitcher of the Week for 8/29-9/5. ... Was named Brewers Minor League Pitcher of the Month for August (6gs, 4-0, 0.68). ... Contract was selected by Milwaukee on 9/10. ... Made 2 appearances with the Brewers, both in relief. ... Made his Major League debut on 9/14 vs. Colorado (1ip, 2h, 1bb, 2k) ... his first career strikeout was Carlos Gonzalez. ... Following the season pitched for Caracas in the Venezuelan Winter League. Went 5-9 with a 3.53 ERA and 1 save in 27 games (19 starts) between Class-A Brevard County and Double-A Huntsville ... was a Florida State League All-Star. ... Held opponents to a .229 batting average with 130 strikeouts in just 125.0 innings. ... Following the season pitched for the Surprise Rafters in the Arizona Fall League. In his first professional season went 2-0 with a 1.33 ERA and 11 saves in 22 relief appearances between Rookie Helena (13g), Class-A Wisconsin (3g) and Class-A Brevard County (6g). ... Held opponents to a .168 batting average with 59 strikeouts and just 5 walks in 40.2 innings. ... Was named Pioneer League Pitcher of the Week for 6/29-7/5 and 7/20-7/26. 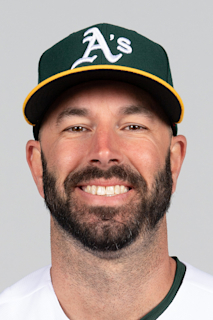 December 24, 2018 Oakland Athletics signed free agent RHP Mike Fiers. November 30, 2018 RHP Mike Fiers elected free agency. August 7, 2018 Oakland Athletics activated RHP Mike Fiers. August 6, 2018 Detroit Tigers traded RHP Mike Fiers to Oakland Athletics for Future Considerations. April 8, 2018 Detroit Tigers activated RHP Mike Fiers from the 10-day disabled list. March 28, 2018 Detroit Tigers placed RHP Mike Fiers on the 10-day disabled list retroactive to March 26, 2018. Lumbar strain. December 8, 2017 Detroit Tigers signed free agent RHP Mike Fiers. December 1, 2017 RHP Mike Fiers elected free agency. November 2, 2017 Houston Astros activated RHP Mike Fiers. October 5, 2017 Houston Astros reassigned RHP Mike Fiers to the minor leagues. September 20, 2017 Houston Astros reassigned RHP Mike Fiers to the minor leagues. September 14, 2017 RHP Mike Fiers roster status changed by Houston Astros. August 2, 2015 Houston Astros activated RHP Mike Fiers. August 9, 2014 Milwaukee Brewers recalled RHP Mike Fiers from Nashville Sounds. June 25, 2014 Milwaukee Brewers optioned RHP Mike Fiers to Nashville Sounds. June 8, 2014 Milwaukee Brewers recalled Mike Fiers from Nashville Sounds. March 14, 2014 Milwaukee Brewers optioned RHP Mike Fiers to Nashville Sounds. November 8, 2013 RHP Mike Fiers assigned to Leones del Caracas. September 30, 2013 Milwaukee Brewers recalled Mike Fiers from Nashville Sounds. September 3, 2013 Mike Fiers roster status changed by Nashville Sounds. June 17, 2013 Nashville Sounds placed RHP Mike Fiers on the 7-day disabled list. June 3, 2013 Milwaukee Brewers optioned RHP Mike Fiers to Nashville Sounds. May 12, 2013 Milwaukee Brewers recalled Mike Fiers from Brevard County Manatees. May 7, 2013 Mike Fiers assigned to Brevard County Manatees from Nashville Sounds. April 20, 2013 Mike Fiers roster status changed by Nashville Sounds. April 18, 2013 Milwaukee Brewers optioned RHP Mike Fiers to Nashville Sounds. May 29, 2012 Milwaukee Brewers recalled Mike Fiers from Nashville Sounds. March 18, 2012 Milwaukee Brewers optioned Mike Fiers to Nashville Sounds. October 17, 2011 Mike Fiers roster status changed by Milwaukee Brewers. October 10, 2011 RHP Mike Fiers assigned to Leones del Caracas. October 1, 2011 Milwaukee Brewers reassigned RHP Mike Fiers to the minor leagues. September 10, 2011 Milwaukee Brewers selected the contract of RHP Mike Fiers from Nashville Sounds. August 3, 2011 Mike Fiers roster status changed by Nashville Sounds. July 27, 2011 Nashville Sounds placed RHP Mike Fiers on the 7-day disabled list retroactive to July 25, 2011. July 7, 2011 RHP Mike Fiers assigned to Nashville Sounds from Huntsville Stars. May 25, 2011 Mike Fiers assigned to Huntsville Stars from Nashville Sounds. May 21, 2011 Mike Fiers assigned to Nashville Sounds from Huntsville Stars. February 28, 2011 RHP Mike Fiers assigned to Milwaukee Brewers. August 31, 2010 Mike Fiers assigned to Surprise Rafters. August 9, 2010 Mike Fiers roster status changed by Huntsville Stars. July 22, 2010 Huntsville Stars placed RHP Mike Fiers on the 7-day disabled list. July 4, 2010 RHP Mike Fiers assigned to Huntsville Stars from Brevard County Manatees. March 15, 2010 RHP Mike Fiers assigned to Milwaukee Brewers. August 11, 2009 Mike Fiers assigned to Brevard County Manatees from Wisconsin Timber Rattlers. August 3, 2009 Mike Fiers assigned to Wisconsin Timber Rattlers from Helena Brewers. June 22, 2009 Mike Fiers assigned to Helena Brewers from AZL Brewers. June 15, 2009 Mike Fiers assigned to AZL Brewers from Milwaukee Brewers. June 14, 2009 Milwaukee Brewers signed RHP Mike Fiers.